Constructed across from the venerable Ford's Theater in 1911, the Empire Theatre (as the Everyman was first called) was designed in the Beaux Arts style by Baltimore architects William McElfatrick and Otto Simonson. Although its advertising slogan was appealing, "Better Burlesque," and it boasted its own soda fountain and billiard parlor, the theatre never caught on with burlesque or a few years later, with vaudeville. By 1915 it had switched to a single screen movie theatre with seats for over 1500. Movies did not fare well either, and after a brief stint back as a burlesque theatre, the building was shuttered in 1927. In 1937 it reopened, but as a parking garage. 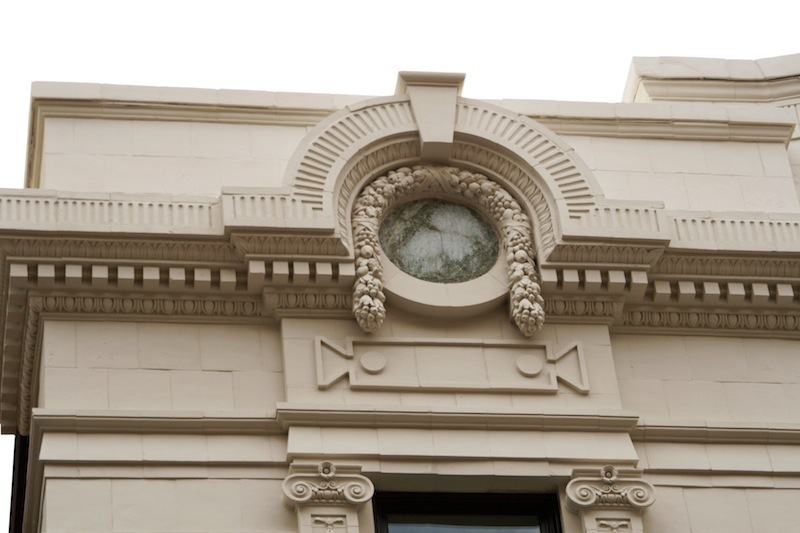 For some reason, this use also did not stick, and in 1947 the building was rebuilt back into a theatre. With architects Lucius White and John Zinc in the lead, the new theatre was fully modern, with Art Moderne styling, amoeba-shaped wall decorations, and even a concession stand selling new fangled orange-coated ice cream treats called Dreamsicles. The Town Theatre, as it was then renamed, opened with a premier showing of "It's a Wonderful Life," complete with Jimmy Stewart in the audience. It was during this period that a real life drama took place in 1953 when the FBI received a tip that a wanted criminal, John Elgin Johnson, was at the theatre. He was in a phone booth when the FBI approached and he opened fire, wounding agents J. Brady Murphy and Raymond J. Fox. Additional agents returned fire, killing Mr. Johnson. Agent Murphy later died from his wounds. From the 1960s into the 1970s, the Town was Baltimore's only "Cinerama," a film technique where multiple film strips are shown on a single projector. This run didn't last either, and the theatre closed again in 1990, about a week before the Hippodrome a block away also went dark. 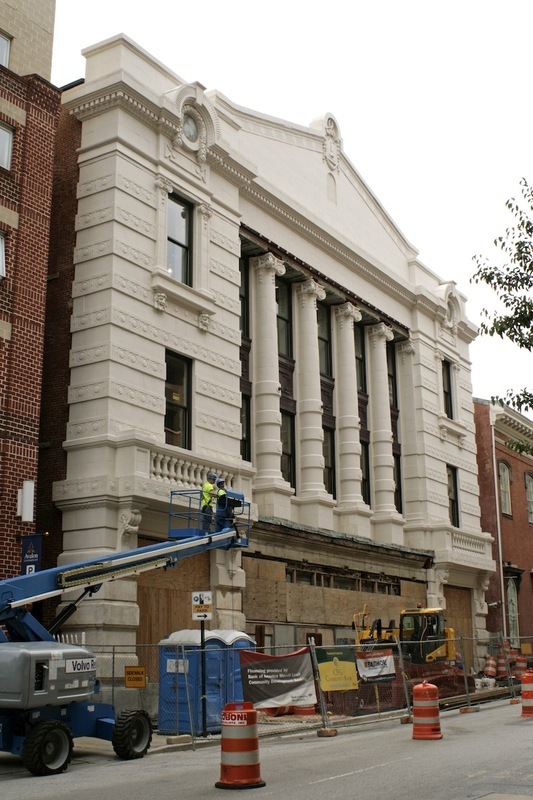 The building was given to the Everyman Theatre in 2006, which was then in search of a new home. 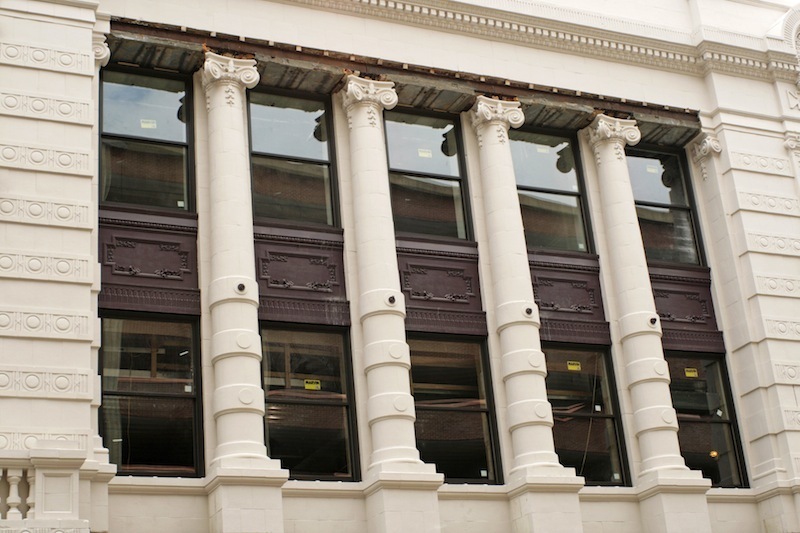 After raising considerable capital for a major renovation, the restoration included both the historic exterior and a wholly new interior to accommodate modern performance requirements. The theatre now has 250 seats and a host of other spaces: a scene shop, dressing rooms, a green room, a rehearsal hall, classrooms, offices, costume shop, and a prop shop. The company's first performance in the new space was in January 2013. 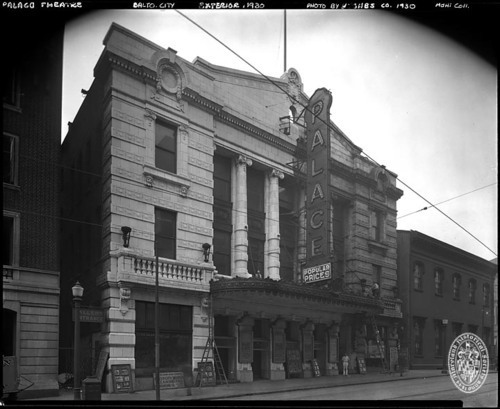 Johns Hopkins, “Everyman Theatre,” Explore Baltimore Heritage, accessed April 23, 2019, https://explore.baltimoreheritage.org/items/show/60.